Amcorp Liang 2 x 10MW Mini Hydro Power Plant is located in Raub, in the state of Pahang, Malaysia. This project comprises two schemes, where 10 MW hydro power plant is located upstream of Sg Liang, and another 10 MW hydro power plant is located downstream of the river. The location of the 2 plants will optimize the hydro power of Sungai Liang to generate approximately 90GWh of energy per year. Amcorp Properties Berhad (Amprop) signed the renewable energy power purchase agreements (REPPA) with Tenaga Nasional Berhad (TNB) to sell electricity produced by the above two mini hydro power plants for a feed-in-tariff concession period of 21 years. This project is in line with Malaysia government’s initiative to reduce reliance on finite resource energy power plant. Amcorp Upper Liang 10MW Mini Hydro Power Plant operated by Trident Cartel Sdn Bhd, a wholly owned subsidiary of Amprop and Amcorp Lower Liang 10MW Mini Hydro Power Plant operated by Contour Mechanism Sdn Bhd, another 100% owned subsidiary of Amprop, both achieved their Initial Operation Date (IOD) in the second half of year 2018. Amprop is no stranger when it comes to renewable energy. Its first mini hydro power plant was the Amcorp Perting 4MW Mini Hydro Power Plant in Sg Perting, Bentong which was commissioned in December 2009. The plant was the winner of the prestigious ASEAN Renewable Energy Award. It was also conferred the Silver Award of Merit by The Association of Certified Engineer’s Malaysia (“ACEM). 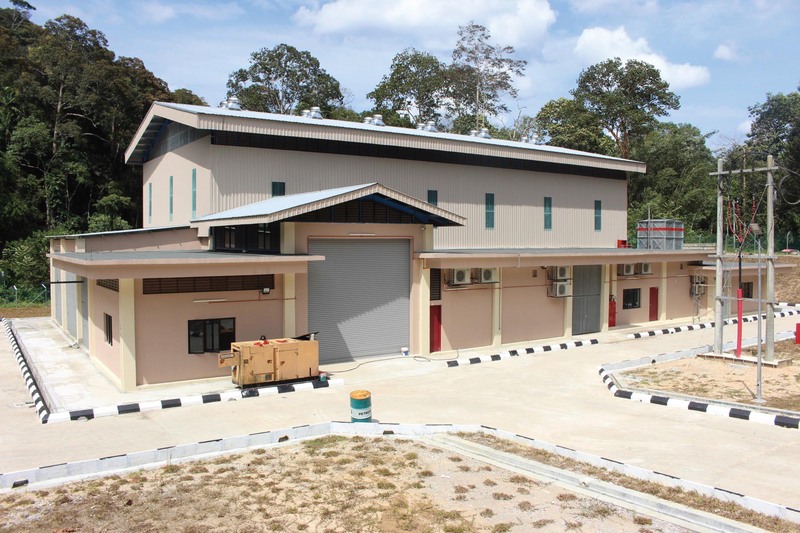 Amcorp Perting mini hydro power plant was later upgraded to 6MW in 2015. Besides mini-hydro, Amprop also operates the award-winning Amcorp Gemas 10.32MW Solar Power Plant, which was built on an area spanning 34 acres in Gemas, in the state of Negeri Sembilan, Malaysia. It was certified by the Malaysia Book of Records for being the largest grid-connected solar farm in Malaysia. It also won the Frost & Sullivan 2015 Malaysia Solar Systems Company of the Year. In 2018, it won the prestigious IET Industry Award from the worlds’ largest engineering institution, Institution of Engineering and Technology which has over 168,000 members in 150 countries.